A Beechcraft King Air A100 is pictured for story illustration purposes. It is not the King Air that has been used to carry Gov. Ron DeSantis. Former Gov. Rick Scott, who had his own aircraft, got rid of state planes is 2011. That has left new Gov. Ron DeSantis flying in a modified seized drug plane, as the Florida Department of Law Enforcement shuttles him across the state. 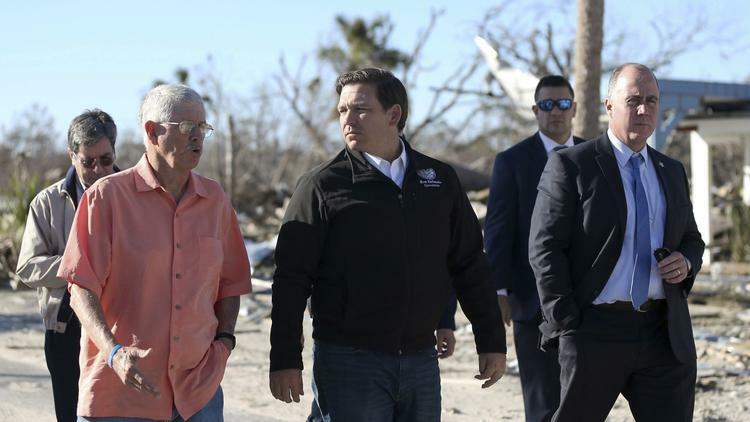 “It is ridiculous, if we’re the third largest state in the union, that the governor is having to travel around in the manner he’s traveling around in right now,” Bradley, R-Fleming Island, said. Days after DeSantis’ Jan. 8 inauguration, the seized drug plane had to make an emergency landing due to a mechanical problem that required the use of oxygen masks for the occupants, including DeSantis, his chief of staff Shane Strum and Attorney General Ashley Moody. After a meeting of his committee Wednesday, Bradley didn’t expand on funding or how a new state air fleet could be comprised. “I don’t know of too many situations that would require Cabinet officers or presiding (legislative) officers to get to a place in such a short time,” Oliva said last month.